Technology from the University of Buffalo has joined an international race to develop a pacemaker that is self-powered by harnessing energy generated by the patient’s heartbeat. This next step towards making the devices smaller and more self-sufficient reduces patient risk and inconvenience, claim the researchers. 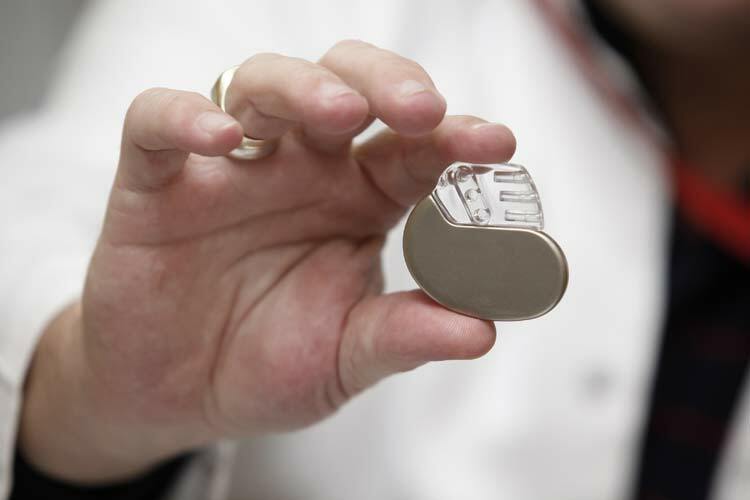 Since its introduction in 1960, the pacemaker has undergone many makeovers. Competing medical device developers have worked to make the technology as small as possible and to extend the life of its battery. Traditionally, pacemakers have regulated heart beats through wire leads attached to the heart’s tissue, but a study published in The New England Journal of Medicine in September demonstrated promising early findings for a pacemaker that is completely wire-free. The advancement is based upon a system that converts vibrational energy — created inside the chest by each heartbeat — into electricity to power the pacemaker. The technology may eliminate the medical risks, costs and inconvenience of having a battery replacement every five to 12 years for millions of people worldwide, reported by Indian Express. Scientists are developing battery-free implantable pacemakers that may be powered by an unlikely source — the heart itself. The technology uses a piezoelectric system that converts vibrational energy — created inside the chest by each heartbeat — into electricity to power the pacemaker. ‘Essentially, we’re creating technology that will allow pacemakers to be powered by the very heart that they are regulating,’ said M. Amin Karami, assistant professor at the University at Buffalo School of Engineering and Applied Sciences. The technology may eliminate the medical risks, costs and inconvenience of having a battery replacement every five to 12 years for millions of people worldwide, researchers said. About the size of a pocket watch, pacemakers are implanted under the skin through an incision in the chest. Wires, also called leads, connect the device to the heart and deliver electrical signals that regulate the heart’s activity. The new wireless option does not require leads because it rests inside the heart. This removes a potential point of failure, but the device still relies on a battery that must be replaced as often as the batteries that conventional pacemakers use. The idea of heart-powered pacemakers came to Dr. Karami after doing PhD work on piezoelectric applications for unmanned aerial vehicles and bridges. The heart was an obvious choice because of its relative strength and constant motion.